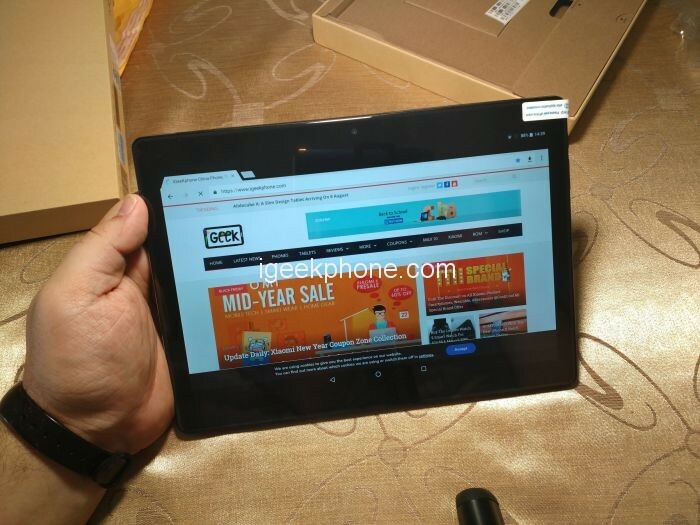 Chuwi is my favorite company for tablets. I already have one from Chuwi, Chuwi Hi10 Plus, for my medical cabinet, where I use it for keeping track of my patients and write prescriptions. 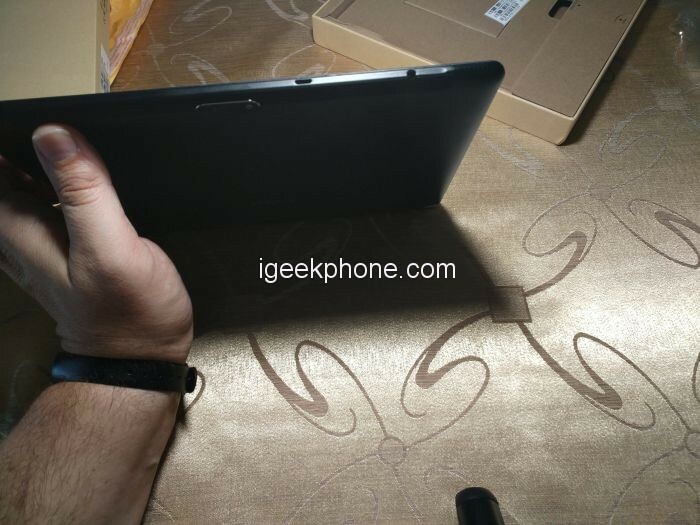 The tablet is in perfection condition, working hard every day for many hours from the day I bought it, that’s before two years. Nevertheless an update was needed as I needed a smaller and more light tablet for my runs. Of course I went over to Chuwi to find what I want, as I wanted something really good and at a good price of course. 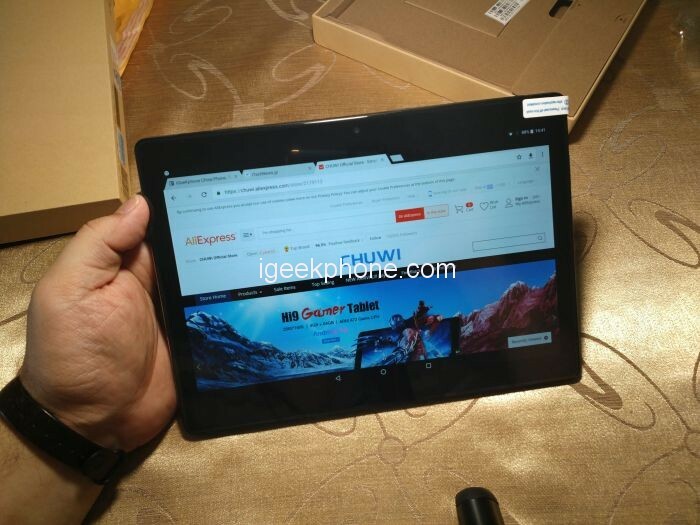 My choice was their latest creation, Chuwi Hi9 Air, a cost-effective tablet with powerful specs and 4G connection. 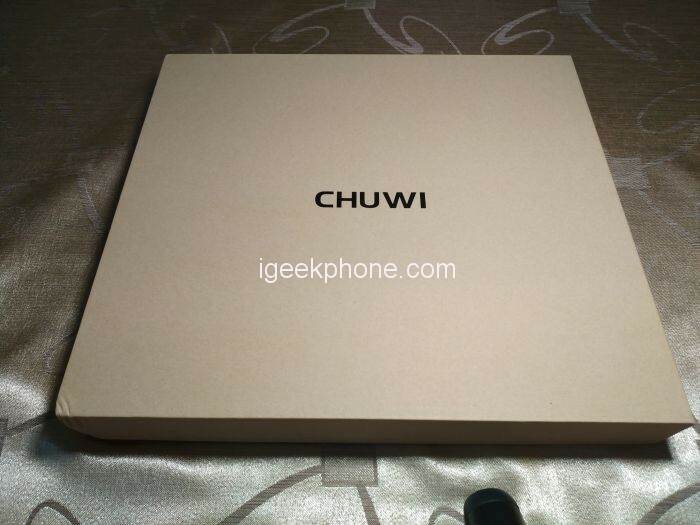 I ordered the Chuwi Hi9 Air from the official store of Chuwi at Aliexpress. 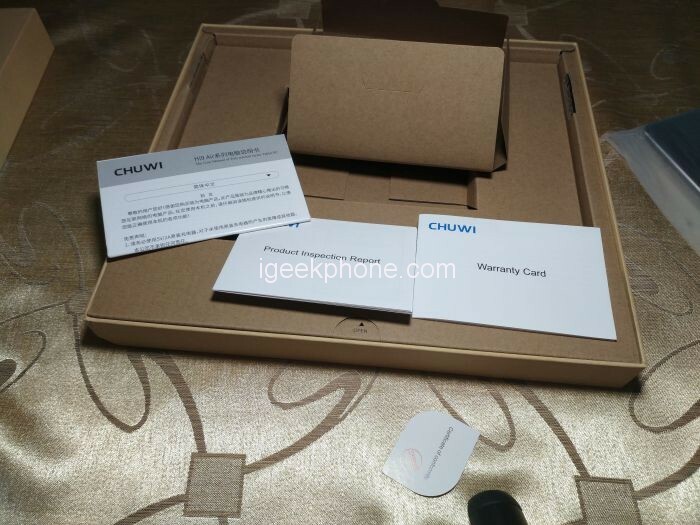 My order contained the tablet and the original protective case from Chuwi, so to be sure that nothing will happen to it. It came with original post inside a very protective bubble case, that made it impossible to harm my tablet. 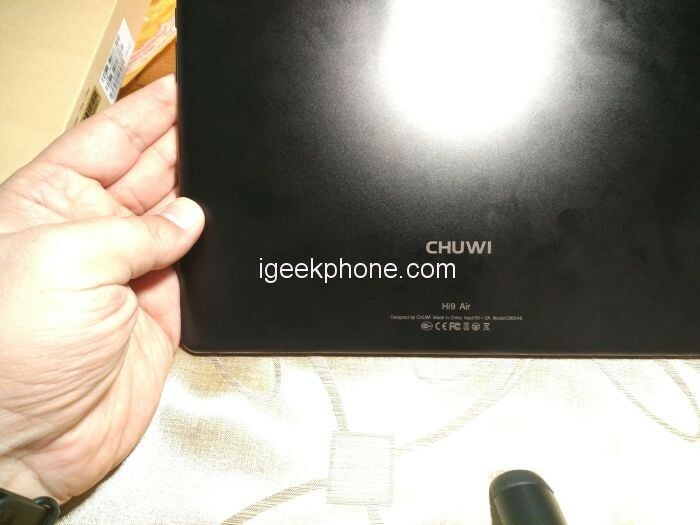 Opening the postal bag, inside was a box from plain paper, writing on top Chuwi and on the sides was showings the specs of the Hi9 Air. 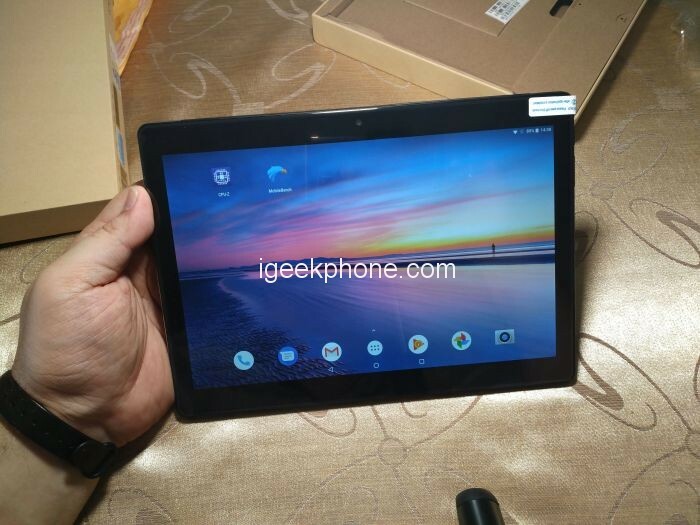 As you can see the Hi9 Air has some pretty good specs which makes it a very powerful tablet. 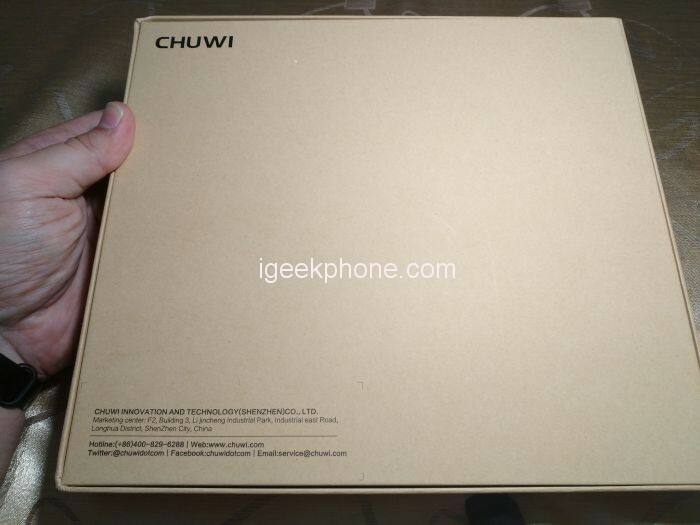 Chuwi Hi9 Air dimensions are 241.7 x 172.0 x 7.9 mm and weights just 550 g. Is made out of hard plastic of good quality and you will find it only in black color. 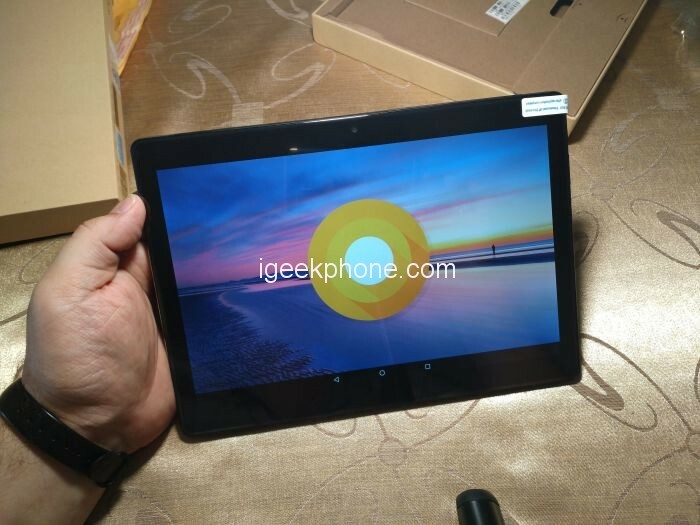 The IPS screen of the Hi9 Air is just 10.1″ with screen resolution of 2560 x 1600 px(QHD+) and density of 299 pixel/inch. Chuwi Hi9 air is equipped with the MediaTek Helio X20 (MT6797), with 2×2.1GHz Cortex-A72 + 4×1.85GHz Cortex-A53 + 4×1.4GHz Cortex-A53, a decacore processor clocked at 2.1 GHz! For the graphics, the ARM Mali-T880 MP4 clocked up to 780MHz, does a fantastic job in complex graphics programs, runs smoothly heavy games and you can see without any problem 4K video. 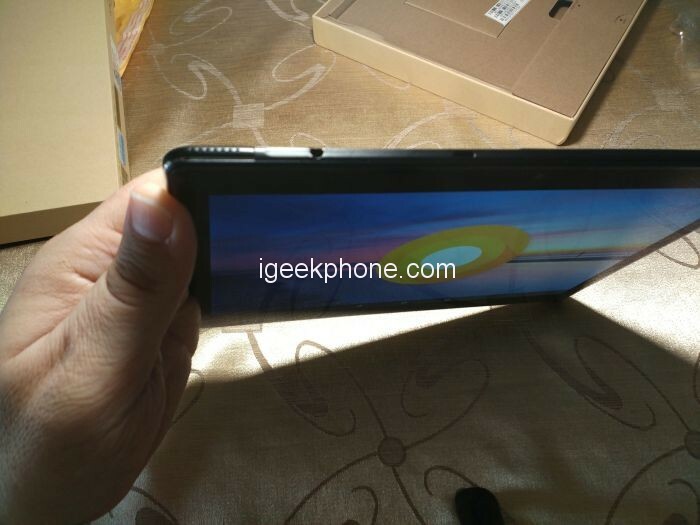 Features 4 GB LPDDR4 RAM and 64GB eMMC ROM. You can expand the internal storage with an other 128GB with the use of a TF card. During the presentation I installed some test programs, like mobile benchmark and Antutu to see how it is going. On Antutu reached up to 89.709, a very good score indeed! 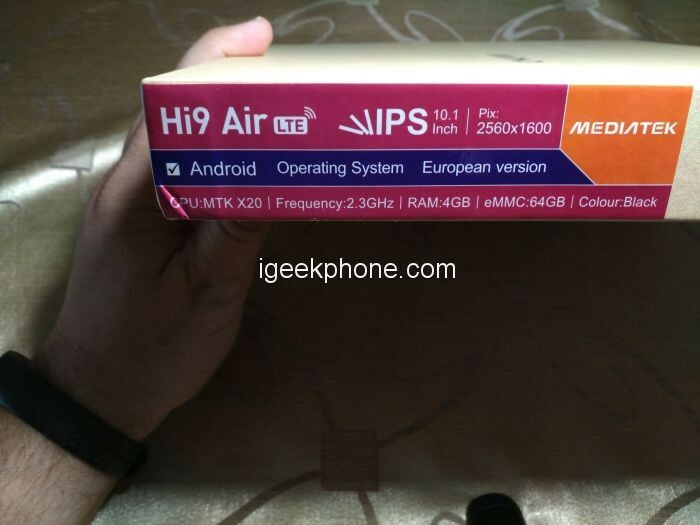 As for OS, Hi9 Air is one of the few that use only Android and to be more exact, Android 8.0. 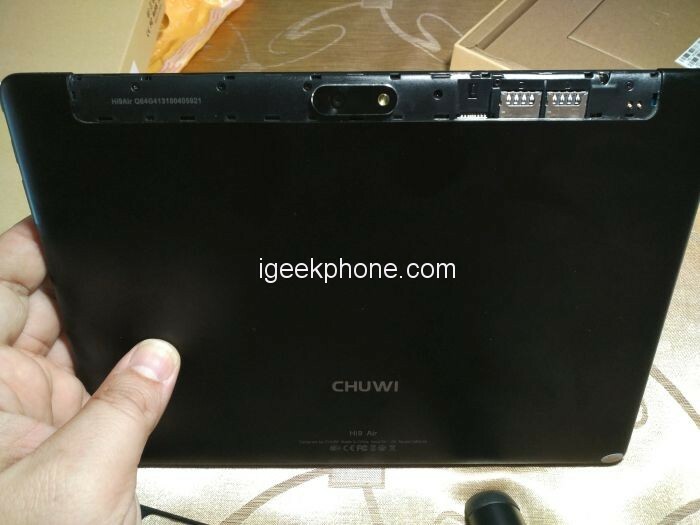 Chuwi Hi9 air is equipped with two camera, one front and one at the back. The main camera on the back is with 13MP resolution and the one on the front is with 5MP. Both can give you very good pictures. Hi9 Air if you watch the video, you will see that it can takes up to two SIM cards and the TF of course. To find where they are placed is tricky, so watch the video to see how it is going. 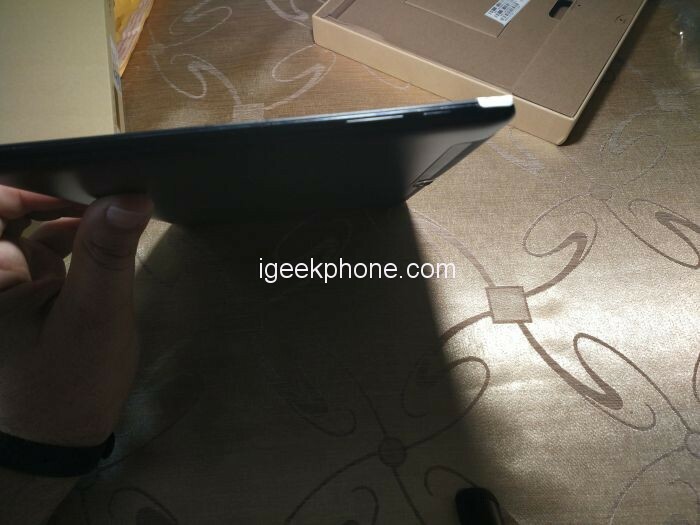 Around the tablet all you can see are the dual speakers, the power button, for the luminosity and a USB Type A slot for power. There is also a slot for the headphones. 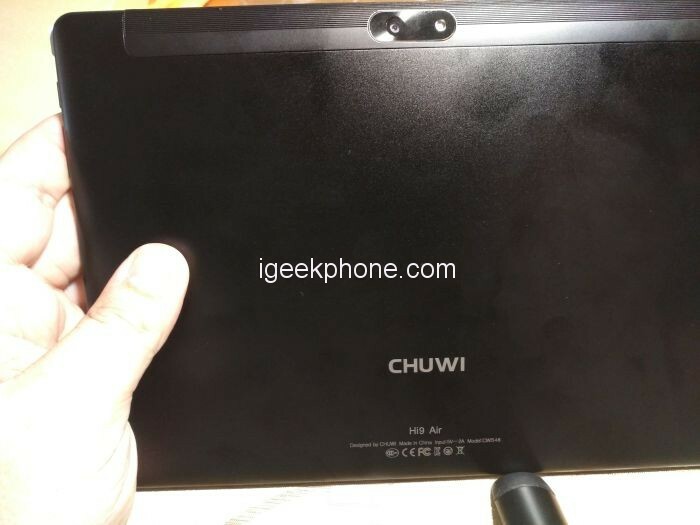 Chuwi Hi9 Air also supports Dual Band 2.4GHz / 5.0GHz WiFi and BT 4.2 connections. Features very sensitive GPS system so you wont get lost. 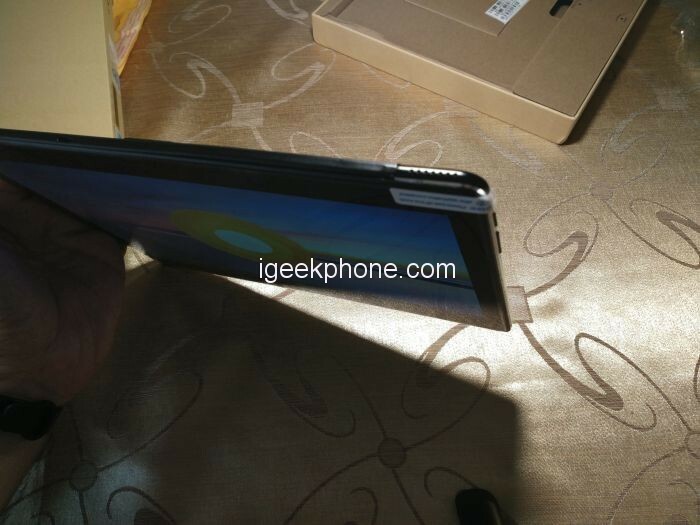 It also features a 8000mAh battery so to keep for ever! As I told you in the beginning, As I have already told you, it can take 2 SIM and supports B20 which is essential.